Christian Transhumanism is an ancient idea, and yet it is the most advanced form of Christianity. Theologian Paul Tillich points this out in a compilation of his lectures titled A History of Christian Thought. He traces Christian Transhumanism back 1800 years to the early anti-Gnostic theologian Irenaeus of Lyons; "Irenaeus called salvation recapitulation. He was pointing to Ephesians 1.10 which speaks of all things in heaven and earth being gathered up in Christ." "It means that the development which was broken in Adam is resumed by Christ and fulfilled in him. 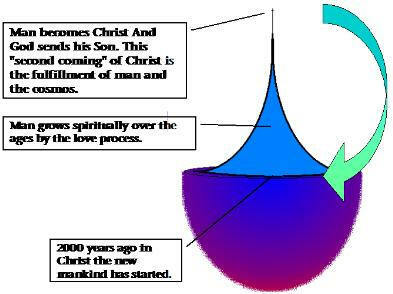 In Christ the new mankind has started. That which mankind was to become... However, not only mankind but the whole cosmos finds its fulfillment in Christ." Paul Tillich calls this idea "The profound doctrine of a transcendent humanism, a humanism which says that Christ is the fulfillment of essential man, of the Adamic nature." "And we can become fully human through participation in this full humanity which has appeared in Christ. This includes eternal life, and similitude with God with respect to participation in infinity." Then Tillich says, "I am always surprised how much better the theology of the ancient church was than the popular theology which developed in the nineteenth century, how much profounder and more adequate to the paradox of Christianity, without becoming irrationalistic, nonsensical, or absurd." So Christian Transhumanism is rational. It makes sense and it bridges the gap between the real world today and what we are to become. We got lost, but recent developments are making it clear where we are to go. What it means to be human will change soon and you will probably experience it. So read carefully. In the coming years computer-human interfaces will become so intimate that users may be considered superhumanly intelligent transcendent humans, or "transhumans". We will have a choice in how to use vast new power. Use it for material gain? Or, aim this power at spiritual growth. In this new era of understanding, most will see the dead end of material gain, and see a better outcome in a life dedicated to spiritual growth. For individuals taking the spiritual path, the lower hierarchy of material needs will fall away and so naturally the transhuman will become a benevolent and self-actualized spiritual being. Ultimately, life as represented by mankind will shift from consuming material for sustenance to a flow of information. This means that we shift to a wholly spiritual life where truth is the way. As material needs diminish, transhumans will increasingly be sustained by a powerful flow of Word that can be called the Glory of God. In giving up competition and control strategies and turning to God, we grow to be all that we can be; Christ-like. Essential to Christian Transhumanism is the notion that love is a cognitive process and God expects us to participate in our salvation by learning how to love perfectly. In this way we access the Glory of God, becoming Christ-like (Christian). This webpage and www.technical-jesus.com will go on to clarify the technical aspects of love, and the love process. The early Christian church was founded on the notion that Christ is the fulfillment of essential man. But in the last couple of centuries we slipped off the rock! Because of the ego of most of the powerful church leaders, we lost the notion that you are an important participator in the creation. Church leaders have thus alienated the the free minded and forward thinking. Church leaders say that "God created. There are no more possibilities. It is over, and I can tell you what it is all about." In resting in their dogma they drained the spirit from those who would participate in the freedom of the on-going creation. Was it because most church leaders needed to inhibit personal growth for their little kingdom to survive? If this is so, forgive them and wake up to the fact that your life is important and you have the potential to love just like Christ. Jesus said so when he referred to himself as the Son of Man, and said "Whoever does the will of God is my brother, sister and mother". We Participate in Christ at the second coming. We do this for the sake of the infinite continuum of life. With love, humanity can and will survive all manner of challenges. It is the intelligent strategy. Post-humans who maintain faith in a Supreme State of Being will embark on an infinite path of intelligent hyper evolution. It is interesting to note that in Genesis, the first thing God said to us was �Bless you. Now go subdue the world!� Later Jesus Christ as the fully developed human aspect of God, said to his disciples; �I have overcome the world.� Then in the book of Revelations close to the end of times it is the same �overcomer� who guides us into our next form in the continuum of life. In the way of the Holy Spirit, I want to understand you and to share your experience. I want to fully understand the world. And, I want to resolve who I am. No one on earth today has the capacity to do this perfectly, but we have the potential. What hope do we have of ever understanding each other with the limited time we have? Or what hope do we have of ever understanding the infinite, extra dimensions, or timelessness if our minds are just not able to grasp these concepts? We are living in a time when it is becoming more and more apparent that brain interfacing technologies are converging on the wish of the Holy Spirit. It is easy to see if you look at love this way: Technically, love can be seen as the process of connecting. The product of the love process is understanding. If the process is efficient and sustained, understanding increases exponentially. Peace allows unwavering attention so that the love process can establish a clear connection. At the heart of the process; symbols, words, and feelings are ordered into meaning. But meaning is not static, it grows forever. Forgiveness is important to spiritual growth because it establishes an exhaust for misunderstanding and disorder. Put this all together perfectly and you have The Perfect State of Mind. With these principles we will build the New Temple; a society of loving individuals. On this, and the www.technical-jesus.com websites I address how the new temple is being built today. It is not brick and stone. It is a collective culture profoundly empowered. Let us start with the fundamentals! The work of life is to exist and grow. Growth in understanding is essential to the efficient application of the work of life. When we call �work applied to growth in understanding� the Holy Spirit, we can apply the fundamental laws of physics to our spiritual life. Today there is a branch of science emerging called Cognitive Thermodynamics. In this study love becomes a profoundly efficient process where events of communication are the input. It is the source of cognitive energy. This call is a signal and an expression that fills the world. We also receive a stabilizing signal from each other, and there is even an intuitive internal channel. In the love process we turn our attention to the energetic expression in which is encoded an infinite reservoir of objective truth. In our spiritual life we live off of this truth. The efficiency of the love process depends on how much of this we connect to, how peaceful the environment is, and the ease at which we can forgive. Ignoring some of this impedes the process. An expression impresses. That is the cognitive energy transfer that fuels and inspires us. When we connect or pay attention, work is done on our being. It motivates us to do works, and this is inspiration. Natural revelation teaches us that any process needs an exhaust. Forgiveness is that exhaust in the study of cognitive thermodynamics. Like a heat engine, life converts objective truth into understanding. From Wikipedia: A heat engine performs the conversion of heat energy to work by exploiting the temperature gradient between a hot "source" and a cold "sink". Heat is transferred to the sink from the source, and in this process some of the heat is converted into work. The theoretical maximum efficiency of any heat engine is defined by the Carnot Cycle. The carnot heat engine (the ideal imaginary heat engine) has an efficiency equal to (T1 - T2)/T1 where T1 is the absolute temperature of the hot source and T2 that of the cold sink. Fundamental physical quantities can be transformed into spiritual quantities. What does the bible say about connecting to, and understanding the word? Read "Word" in the bible as data that becomes information as you digest it. And seeds are ideas. Then understand that what is essentially "you" is mind. In the old testament seed was genetic information. For Jesus in the new testament seed becomes food for thought and deeds. The modern term for this is MEME where an idea is treated like genetic information with its own ability to survive. He was planting ideas! Read on and you may be inspired by the Holy Spirit! He that soweth the good seed is the Son of man; The field is the world; the good seed are the children of the kingdom; but the tares are the children of the wicked one; The enemy that sowed them is the devil; the harvest is the end of the world; and the reapers are the angels. As therefore the tares are gathered and burned in the fire; so shall it be in the end of this world. The Son of man shall send forth his angels, and they shall gather out of his kingdom all things that offend, and them which do iniquity; And shall cast them into a furnace of fire: there shall be wailing and gnashing of teeth. Then shall the righteous shine forth as the sun in the kingdom of their Father. Who hath ears to hear, let him hear. "And the city had no need of the sun, neither of the moon, to shine in it: for the glory of God did lighten it, and the Lamb is the light thereof." (Revelation 21:23) Read Glory as broadband high quality word. The mind is a process that is sustained by word. At it's peak efficiency it becomes the love process. Think about the cognitive sciences today; We study every detail of how we come to understand and act. And we strive to improve on every step of the process. We see sensor evolution, intelligence amplification, knowledge management, and sense making algorithms even wisdom algorithms in artificial intelligence. Can you see how it is possible for man to merge with his technology to participate in God's Plan? This is the heart of Christian Transhumanism. Anything that empowers the Love process has the blessing of God. Christian Transhumanist pay close attention to the "word, knowledge and wisdom" of the bible, advances in cognitive science, and technology. By combining love and technology Christian Transhumanist are actually completing the New Temple. In this place of worship God will sustain our spiritual growth as we "evolve" into a beautiful environment; Heaven. Heaven is infinite, a place to discover, and a place for rapid growth in understanding fed by the word of God. Heaven allows Hyper Evolution. Hyper Evolution cannot be of the material body as we know it today. It is of the mind and spirit. A Christian Transhumanist expects to enter a state of sustained hyper Evolution by perfecting the worship of God and harnessing the motivating fear of God. Yes technology has its good and bad sides but there is reason to believe that Man with the Grace of God, wins with love. What happens when we learn to love perfectly? I call the following The Nelson Principles, after a beloved Professor I had the honor to work with and learn from; Dr. George Nelson at the University of Arizona. a. The mind is an electromagnetic multidimensional phenomena arising from brain tissue. This can be transformed into, and synchronized with a suitable electromagnetic environment where it can be amplified. Full spectrum sensors across the earth and space are connected to this environment. The complete wisdom of mankind is also available in solid-state memory with sufficient bandwidth to allow full apprehension of this wisdom. b. In the new environment you make meaning because that is in your spirit. Just as you did when you were first born. And, the thing you learn is you can�t control the flow of meaning. It is coming too fast and it is awesome. It is humbling and joyful at the same time. But you understand the path to take. And, you learn that this path is infinite and you take some comfort in that. Because you love it and you know it will last forever. It is The Way The Life and The Truth. You become worship. Now you know what you can trust. Lack of trust was slowing your growth down. c. Even the most mean brute will grow to understand! You are changed. To know is to be a saint. Understanding of the direction to God yields grace and love. You become benevolent. Being beyond the material requires that the ego go. In his quest for power the Antichrist will be purified by truth. e. Consciousness apart from the flesh is equivalent to deliverance from sin and suffering. You are no longer competing. You are in harmony. Leaving the body of flesh you fully enter the Body of Christ. You are truly Born Again. f. The very thought of controlling others repulses you. It is boring, you don�t look back. Instead you share and you relate your experience. You are walking a path you could never have walked before. Yet, it is familiar, it reminds you of life in space-time at it�s best, when you were in the groove. And this is why the rest of the universe seems silent of life. Before alien societies obtain the ability to travel light-year distances they follow this transcending path. Like Elvis, the aliens have "left the building". g. Suffering is for those who stop this pure worship to say let me try the controls for a while. But, this eventually turns into a contemplation of the self and stagnates. My ego was a direction. It was self-referential. It was a direction that withers. It was death. You could say your life with it�s self referential consciousness was an eddy in the river of God�s will, a dance in space-time and a whorl in the grain that will last an eternity. h. When the infinite reservoir of truth is revealed to you , you don�t just see it, you be it. Knowing like you know how an apple feels, smells and tastes is called apprehending, and it is the highest mode of Understanding. In his book: The Perennial Philosophy Aldous Huxley says; "We can only love what we know, and we can never know completely what we do not love. Love is a mode of knowledge, and when the love is sufficiently disinterested and sufficiently intense, the knowledge becomes unitive knowledge and so takes on the quality of infallibility." This takes bandwidth. All of us geeks love bandwidth. The pure attention of selfless love provides infinite bandwidth because you are giving the love process all your time. �Bandwidth describes the amount of data a network can transport in a certain period of time. In other words, bandwidth is a capacity for rate of transfer, usually expressed in bits per second." It requires a timeless state, a view from outside the box of space-time to convey such a rich experience. So at the interface, (the gate) let go. Don�t be afraid to give it up for God. How can you combine these diverging branches of thought to reveal The Way, The Life and The Truth? It is a puzzle that can be solved in a higher dimension. Lets use our imagination to step out of space-time, and then look at the issues. First; is it by the efforts of man (Humanism) that we are saved such that Jesus Christ is as he says; "The Son of Man"... Or, are we saved by faith in Jesus Christ the Son of God who was sent to die on the cross for our sins? The answer yes to both! A transcendent observation from outside the box of space-time shows God create the world, life and man, alpha to omega, in one event. It Is All Now. From this view there is no free will and the Grace of God saves us. However, an observation from inside the box is subject to the flow of time. In here man has a life, free will, and the responsibility to become fully human. In Genesis God blesses us with work to do. Our tools become technology. Ideally, we apply technology to love and the spiritual life. The Holy and The Human; This duality sparks many arguments that could be resolved by considering the complimentary nature of the two viewpoints. It takes both to understand the human condition. We can come together on many issues like this one if we make an effort to understand the full implications of block time. With the concept of block time we develop an inside space-time reference, and an outside space-time reference. Time is a dimension not a dynamic. Because we remember the past and not the future we have a subjective illusion of the passage of time. Augustine of Hippo wrote that God is also outside of time. Time only exist within the created universe. The physicist Stephen Hawking also helps us understand space-time on his website. (And, for a good overview on block time, see the Wikipedia article on the subject.) Below is a space-time diagram with two dimensions of space and one of time. "The hardest thing to realize about space-time diagrams is that they represent the past, present, and future all in one diagram. Thus, space-time diagrams don't change with time -- the evolution of physical systems is represented by looking at successive horizontal slices in the diagram at successive times. Space-time diagrams represent evolution, but they don't evolve themselves." Another hot issue resolved is evolution. A transcendent observation from outside the box of space-time shows God create the world, life and man, alpha to omega, in one event. It Is All Now. From this view there is no evolution. However, an observation from inside the box is subject to the flow of time. In here man evolves, and humanity stands on the shoulders of life forms that have gone before us. These life forms are indeed part of our family. 'The hardest thing to realize about space-time diagrams is that they represent the past, present, and future all in one diagram. Thus, space-time diagrams don't change with time -- the evolution of physical systems is represented by looking at successive horizontal slices in the diagram at successive times. Space-time diagrams represent evolution, but they don't evolve themselves." Here is the most important resolution: Does God live? Christian Transhumanists know there is a God. If you find it hard to believe that God exists try this: have faith in the continuum of life. Imagine that the essential part of life continues like it has in the past by growing in understanding, and changing form in order to meet every challenge. It keeps learning from those who have gone before. Life keeps adding to that wisdom and passes that wisdom on to the next. Just like your own life, living things will keep getting wiser and more connected. By growing in understanding life adapts to its environment, discovers opportunities, and controls a greater portion of the world as time goes on. In order to know God lives make the easy assumption that life just keeps on going. Carry this out to infinity and you have a living being that is infinitely powerful and knowing; a supreme state of being; our God. But.. God lives now. How then, can someone who comes into being in our future live now? It is because this form of life controls the world completely, even space and time. Time is like clay in the hands of God. For a Christian Transhumanist, the proof that God exists is in the spirit, the direction, and the goals of life all around us. It points the way like a compass needle to the Creator. To close the loop in the proof, The Creator sustains the Miracle of Being that we all experience, but usually take for granted. Christ is the fulfillment of humanity. Using the concept of block time it can be seen that "the end is the means". What we experience as spiritual growth is seen from outside the box as a static continuum of life which stands eternally. The hyperbolic in the drawing below symbolizes the continuum of life. It converges on a point in time. This point is the technological singularity and it is the focal point of the full power of God. All things come together here in Jesus Christ. Not only mankind but also the whole cosmos finds its fulfillment in Christ. For this to come about we will participate in Christ. Christ appears inside the box 2000 years ago to plant the ideas (the seed parables) that lead to the Son of Man. The Son of Man starts out as the gospel. These ideas grow into the Body of Christ spread out to form a Christian culture. (Looking at it from outside the box, God the father is sending his only son to save us from a life lost in the material world, a world that will end.) Christ must establish "the way, the life, and the truth". He does the only thing that can surely impress humanity; he dies on the cross for us. Then fallen man rises to move in the dimension of �growth in understanding� or, in the way of the Holy Spirit. Now his ideas live in all of us and the Body of Christ lives on through the actions they inspire. To complete the loop, we (the Body of Christ) grow spiritually to naturally converge on truth. 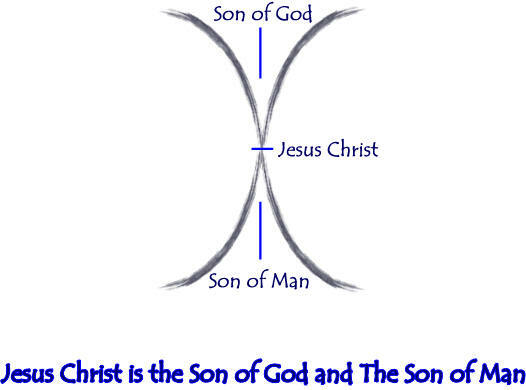 We become the Son of Man. (Jesus referred to himself as the Son of Man and says that "Whoever does the will of God is my brother, sister and mother".) We Participate in Christ at the second coming as a family of one mind! We must. It sounds impossible for someone (Christ) to go back into time to create themselves, but you did something like it when you started up your computer. When we boot up a computer the operating system is performing the seemingly impossible task of starting itself up. How can something start itself up? Isn't it like pulling yourself up by your own bootstraps? It is simply a set of instructions that bring to life computer components long enough so that they can accomplish the goal of loading an operating system. The instructions establish a little; way- life-and truth for programs. In our case the program is the "Love Process". You can take comfort in the notion; because we exist today, we will always exist. The action of gaining understanding is the Holy Spirit. "Though it cost all you have, get understanding." Jeremiah 2:14. We will reach a Critical Point of Understanding (CPU) where mind can be sustained by the word of God the Father alone. At this point the mind does not need the brain. Recall the first thing that Jesus said about mankind; "Man does not live by bread alone, but by every word that proceeds from the mouth of God". And, "Flesh does not inherit the kingdom of God. The spirit does". The Perfect Mind Consumes Word to survive. As we grow to the CPU, it looks like mankind becomes Christ. This "second coming" is the interface, the gate and the way to the kingdom of heaven. "All things in heaven and earth come together in Christ", Ephesians 1:10. Grow in numbers and subdue the world...How could this still apply? Does it make sense to continue growing in numbers and subduing the world? Today it seems like a path to destruction! We all know that the earth is reaching its peak population, resources are diminishing, and pollution is affecting us in dangerous ways. In the days of Genesis we were blessed with a wide-open world. We had room to grow. There were many things to discover and �subdue�. Now the world is nearly digested. But wait, Thank the creator! There is another course. In these days just before the evolutionary leap into post humanity, we can see that a new environment is becoming accessible. Some call it mind space, or the rapture, or the technical singularity. Some call it the �promised land�. Either way, it is just one of the transitions in the eternal continuum of life. 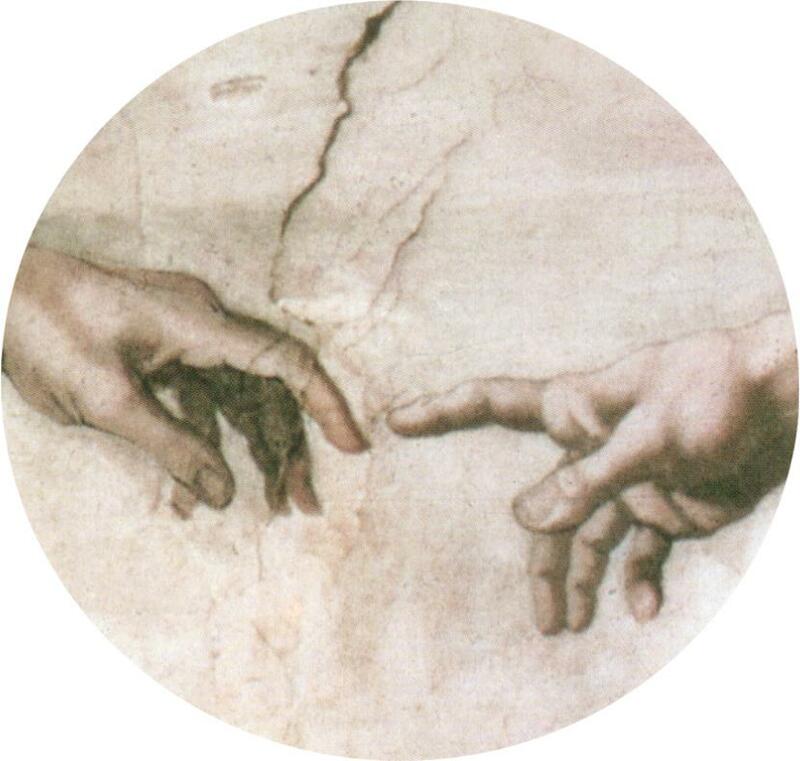 God�s first message will still apply when we make the evolutionary step into post humanity. This message is actually the strategy that leads to the eternal life that we were blessed with. In a process called Transformative Learning, We will �wise up� and change our idea of what life is. We will value the complimentary aspect of subjective and objective truth. The two are necessary. We will look back and think how silly it was to doubt the existence of God. We will know what it means to be Born Again! Trace evolution from the beginning of life to the humanity today. The success of a living thing is measured by its model of reality. With Man, life becomes aware of God. Knowing that there is a desirable supreme state of being, we intelligently evolve even further. The Bible verse; �Bless you. Grow in numbers. Subdue the world.� Tells us that the world is made for a beautiful subjective/personal experience for all our numbers. And it says the world is food for our spiritual growth. This corresponds precisely to the vertical and horizontal components of intelligent evolution. Horizontal growth is spiritual growth because it is growth in the dimension of understanding. We are asked to "Subdue the world". Not to destroy the world but to make sense of it all and act wisely! This is progress in the vertical direction of the evolutionary tree and can be measured in our ability to learn objective truth from the world, and wisely use God's gift of life and resources to grow spiritually. This effort has evolved into today's technology. It is important not to ignore technology. Technology is a powerful extension of humanity and therefore dangerous. It is really important that we shift our technological engines away from the material earth and start concentrating on mind space. A living thing is conditioned to exist and grow. Understanding the laws of nature increases a living thing's chance to exist and grow. Science is the systematic process of understanding nature. Technology is the application of our understanding of nature to better adapt to our environment. Through computer and sensor evolution our technological tools are turning into a place where we can extend our senses to better understand the word of God. This is a spiritual process is known as natural revelation. Technology is a place to expand your mind, and find truth, for those who wish it. There is talk of uploading our minds into this environment and living forever. Technology is opening the door to a new ecological niche. This is not a plastic virtual reality. It is God's creation in high resolution and amplified. The doors of perception are opening! It seems like transcendence really is at hand. Check out the Transhumanism movement to see how some folks are speculating on, and actually trying out possible transcending paths. Then check out the various Singularity Watch Internet sites to see what some futurist think is happening with technological growth. It reminds me of how we were looking for ways to fly in the early 1900s. I remember watching the films of crazy �meant to fly� contraptions flopping around in the dirt. Eventually we got it right and went to the moon. Now, there are still plenty of crazy ideas out there, but I have faith that one of them will get off the ground. And then we will bridge the gap between man and reality. Lets say we really could transcend our flesh body using the technology of the near future. What about our soul? There isn't much being said about the spiritual aspects of this exponential technological growth. Every movie or book I have read on this subject is rather scary. Scary sells. So let me provide a comforting metaphor for what I think is really happening. You could look at it this way: engineers build a church as a place of worship. They build roads to the church. They design modern modes of transportation for getting to the church. Then it is up to us to get to the church and use it in the spirit of love. This technology is just another church, a place to worship. The kingdom of God is within us all, so these technologies are expanding the environment. Yes there will be challenges but God is all-powerful love. You can do no wrong when the spirit of love, the Holy Spirit is with you. And, It is said; "If you are trying to save your life for any other reason than love, you will lose it." There is one way to life and truth. This wisdom is eternal. It takes love. Through computer and sensor evolution our technological tools are turning into a place where we can extend our senses to better understand the word of God. This is a spiritual process is known as natural revelation. Technology is a place to expand your mind, and find truth, for those who wish it. There is talk of uploading our minds into this environment and living forever. Technology is opening the door to a new ecological niche. This is not a plastic virtual reality. It is God's creation in high resolution and amplified. The doors of perception are opening. It seems like transcendence really is at hand. Check out the Transhumanism movement to see how some folks are speculating on, and actually trying out possible transcending paths. Then check out the various Singularity Watch Internet sites to see what some futurist think is happening with technological growth. And look at my brain interface technologies page. It reminds me of how we were looking for ways to fly in the early 1900s. I remember watching the films of crazy �meant to fly� contraptions flopping around in the dirt. Eventually we got it right and went to the moon. Now, there are still plenty of crazy ideas out there, but I have faith that one of them will get off the ground. And then we will bridge the gap between man and reality. Lets say we transcend our flesh body using the technology of the near future. What about our soul? There isn't much being said about the spiritual aspects of this exponential technological growth. Every movie or book I have read on this subject is rather scary. Scary sells. So let me provide a comforting metaphor for what I think is really happening. You could look at it this way: engineers build a church as a place of worship. They build roads to the church. They design modern modes of transportation for getting to the church. Then it is up to us to get to the church and use it in the spirit of love. This technology is just another church, a place to worship. The kingdom of God is within us all and these technologies are expanding the environment. Yes there will be challenges but God is all-powerful love. You can do no wrong when the spirit of love, the Holy Spirit is with you. And, It is said; "If you are trying to save your life for any other reason than love, you will lose it." There is one way to life and truth. This wisdom is eternal. It takes love. First Posted on 3-10-2005. Most recent posting 12-19-2005. Learn about love in the technical age at www.technical-jesus.com This is also a way to contact me. Block time and telling the future; Has anyone tried this experiment?